The Hotel Waterloo is a great choice for groups visiting Wellington looking for budget accommodation. We cater for all group sizes and can tailor a package to suit your needs with special group rates for over 10 guests. We specialise in hosting school excursions from primary to college students, offering secure facilities and a central location for day trips. 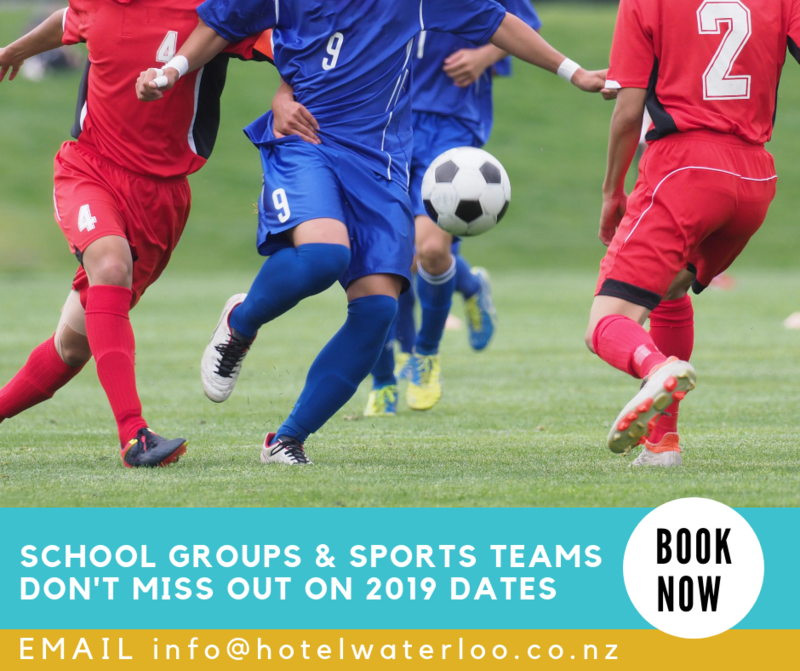 We also offer affordable and flexible options for sports teams visiting the capital for tournaments and events. Our shared dormitory rooms are perfect for groups, offering clean single bunk beds configured for 2, 4, 6 and 8 guests. All bedding is conveniently supplied. Group leaders can enjoy our affordable hotel rooms for a little more comfort and privacy. We also have fantastic catering options, with our on-site Chef preparing breakfast, packed lunches and dinner at pre-arranged prices. Alternatively take advantage of our guest kitchen which allows you to prepare your own meals. Let us do the hard work with accommodation, catering, tour and travel arrangements and receive great discounts!